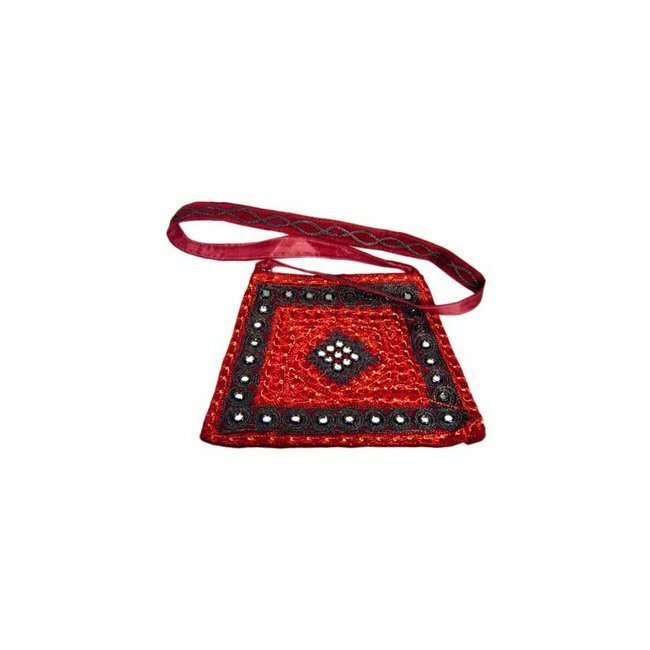 Dark red handbag, beautifully embroidered on front and back. 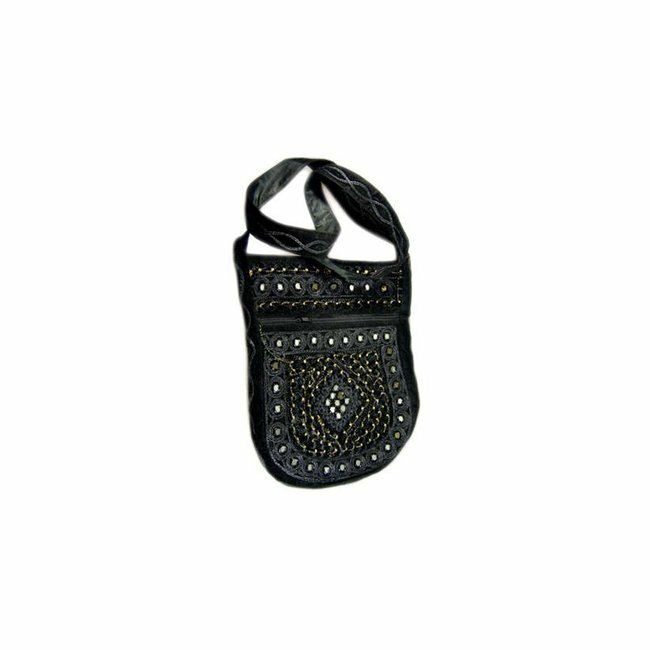 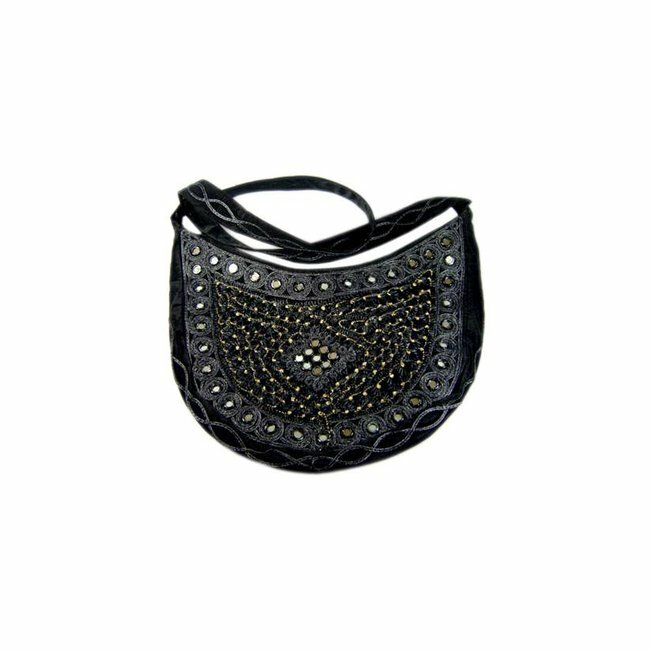 Dimensions: 28cm long; 31cm wide; 120cm length strap Read more.. 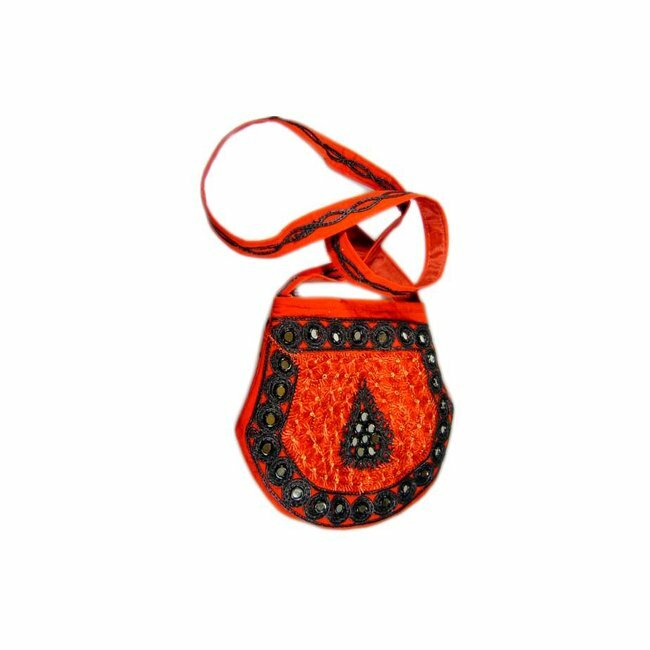 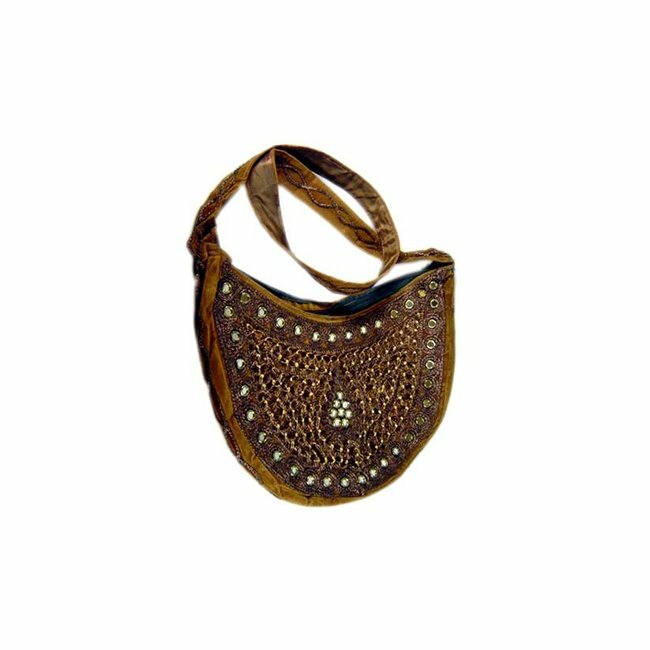 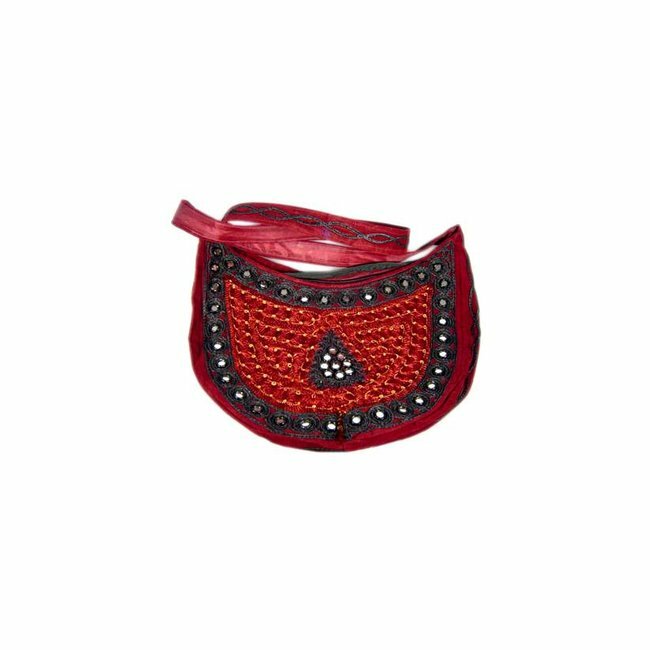 Dark red, small, oriental handbag, beautifully embroidered and equipped with mirrors that is large enough for wallet, mobile phone and many other important things that can not do without the woman offers. 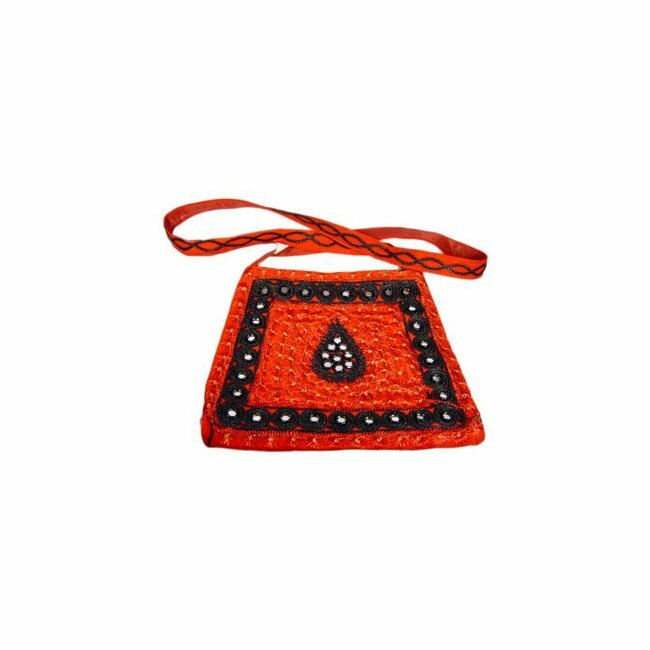 A small handbag in red, beautifully embroidered on front and..
Semicircular handbag in dark red, beautifully embroidered on..